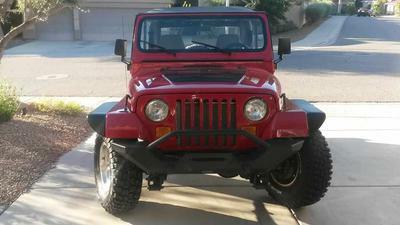 This 1991 Islander Jeep Wrangler was passed on to me from my father in 2005. 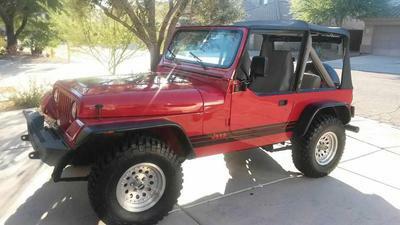 It has 86,000 original miles on a 4.0L with an automatic 3-speed transmission. 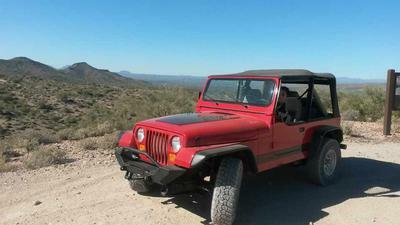 I had it restored to its current condition, It has 31 inch BFG Mud Terrains with rear lockers. It's still sitting on the stock suspension. 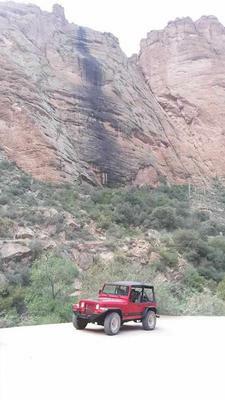 Editor's Comment: Nice looking Jeep, Curly. That Jeep looks great, very unique. Those fender flares are too cool. I had to trim mine to get the 31's to fit my YJ. No need with those.